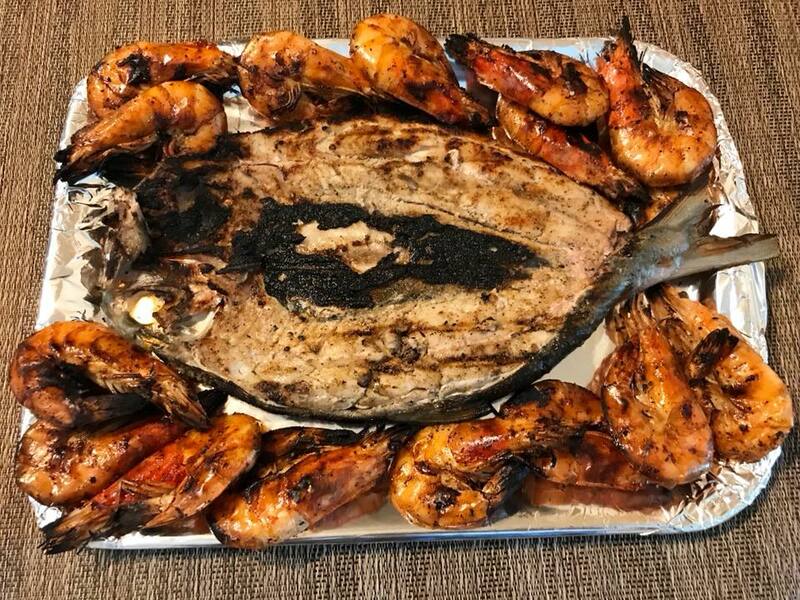 Inihaw na Bangus (Grilled Milkfish) is a simple and easy recipe. With this recipe I used a boneless butterflied Bangus seasoned with kalamansi juice and some seasoning before grilling. 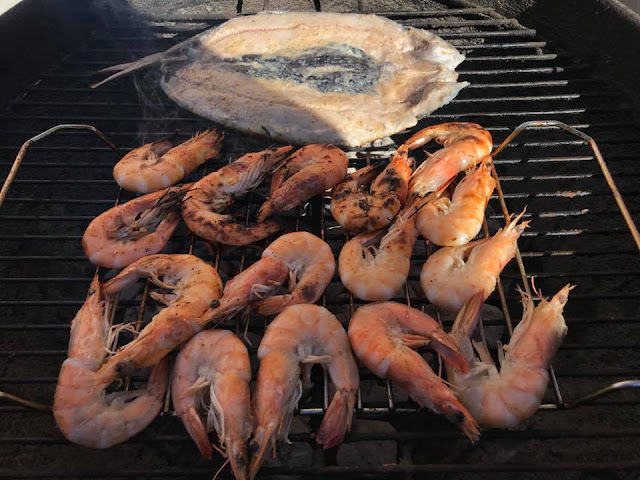 I also grilled some good sizes of shrimp using the same seasoning as I was in the mood for more seafood. Don't forget to check out related Bangus recipes below. Combine kalamansi, minced garlic, salt and ground pepper in a small bowl. Marinate bangus with the kalamansi juice mixture. Set aside. Heat grill in medium heat. When grill is hot place bangus belly down first and cook for about 5 to 10 minutes. Turn bangus upside down and brush with cooking oil. Grill for 5 more minutes or until bangus is fully cooked. With the shrimps, I seasoned it with salt and ground pepper before grilling. Grilling shrimp takes shorter time compare to the fish. Once shrimp is fully cooked brush some cooking oil before removing from the grill and serve hot.